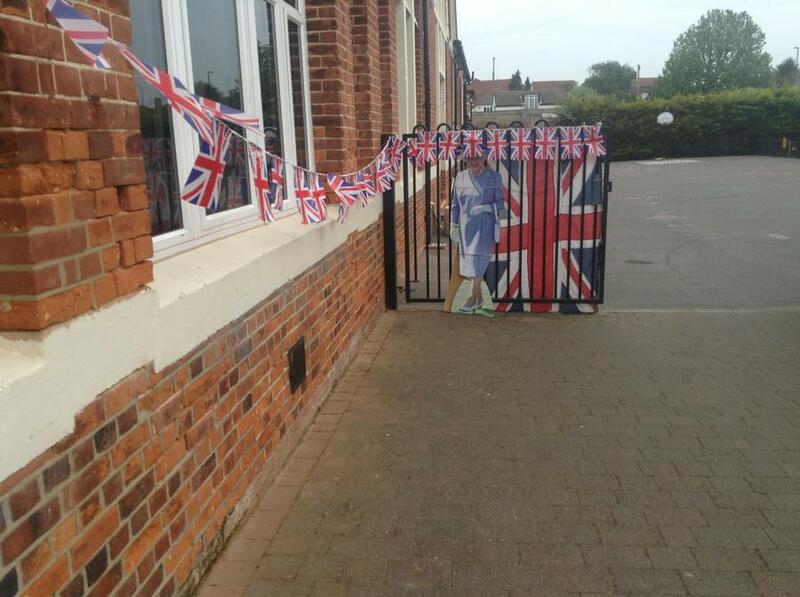 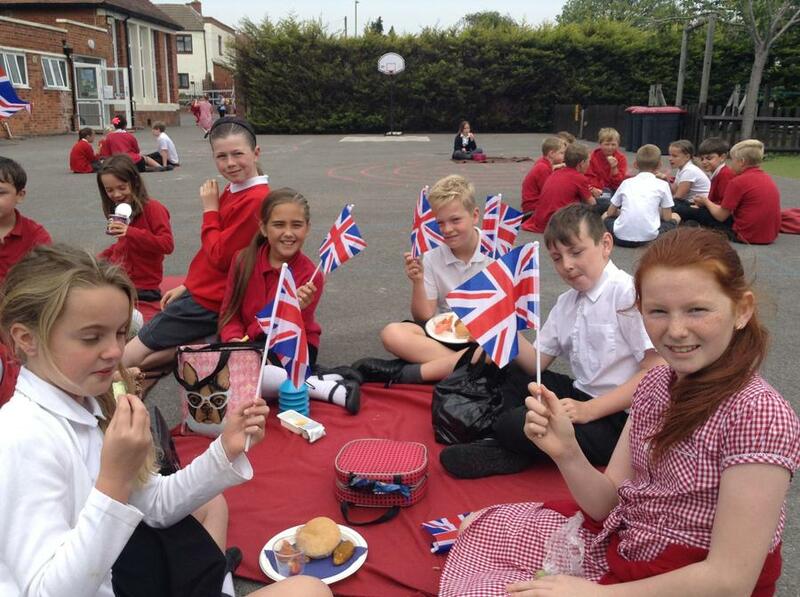 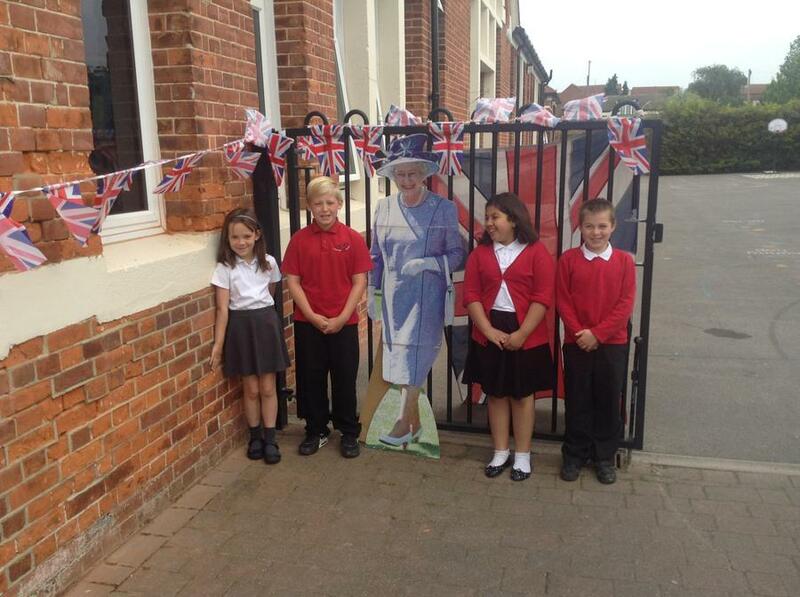 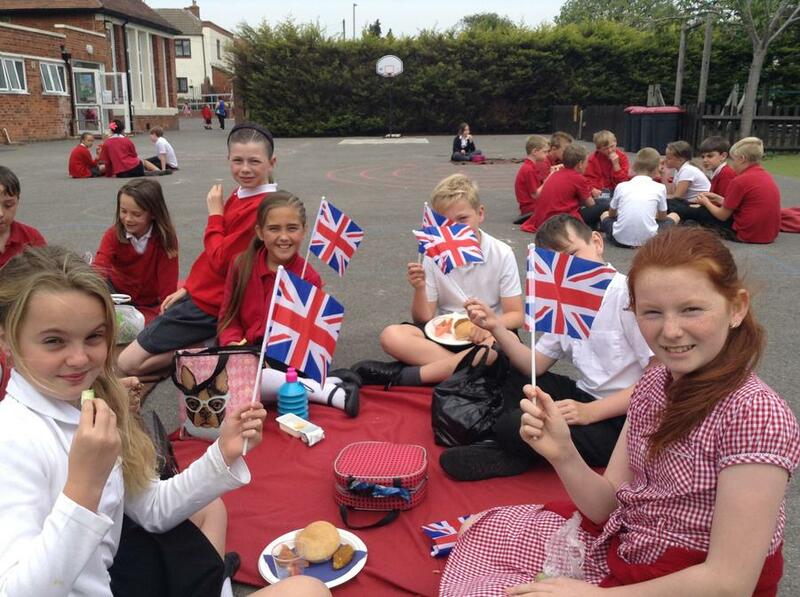 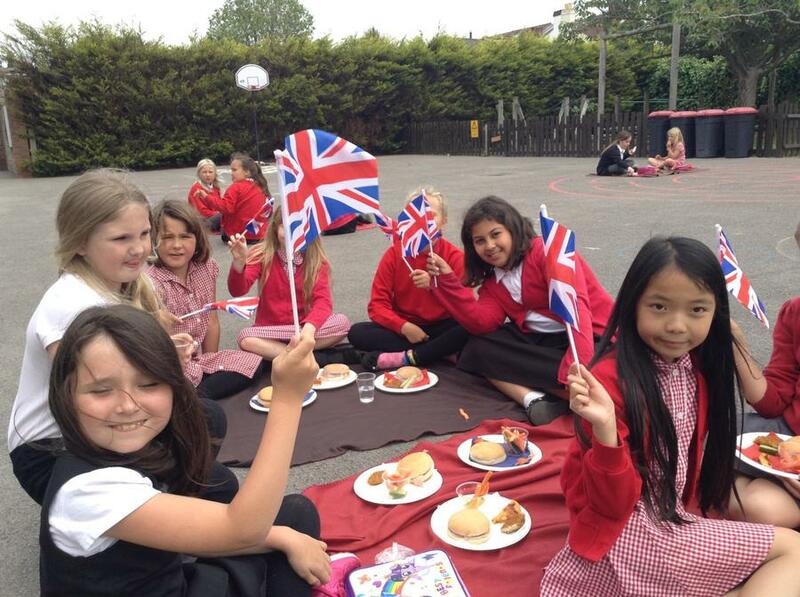 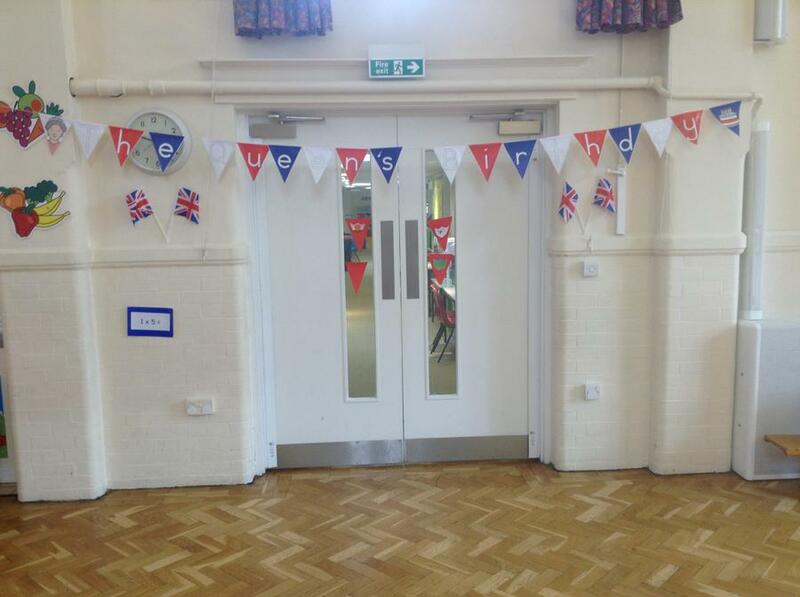 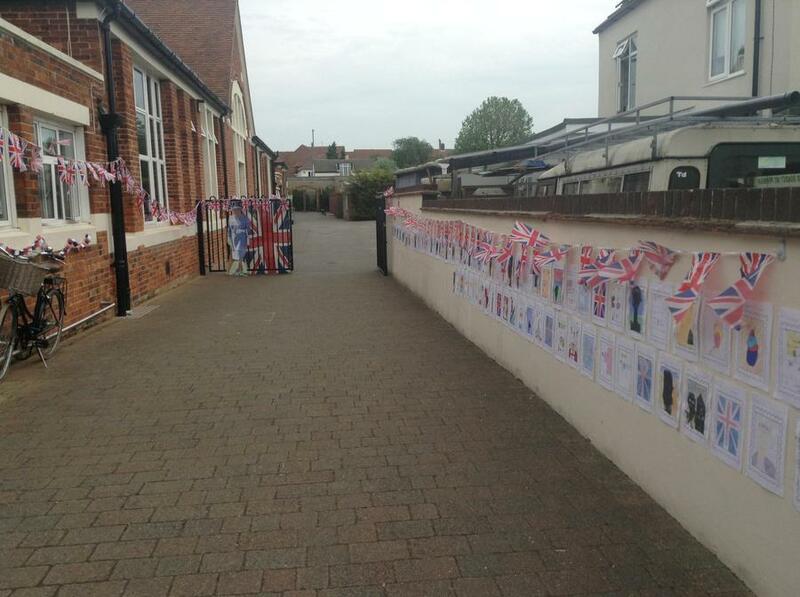 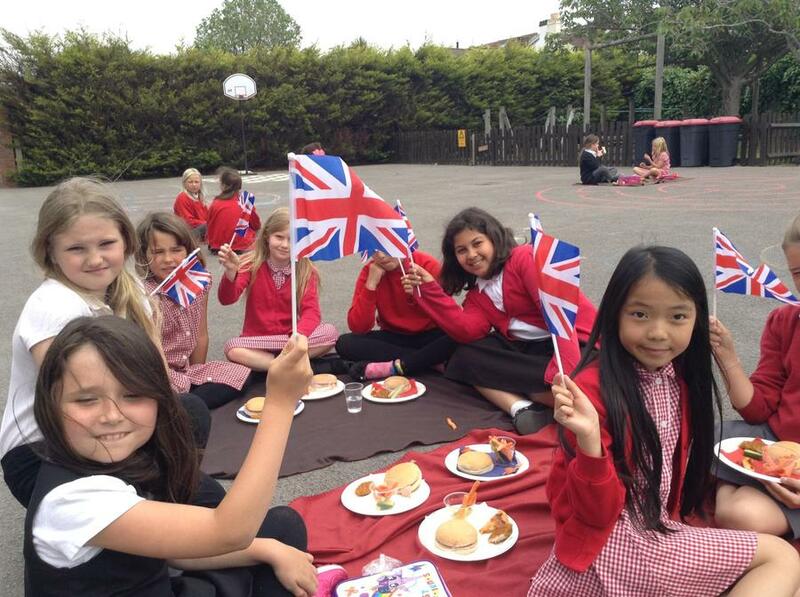 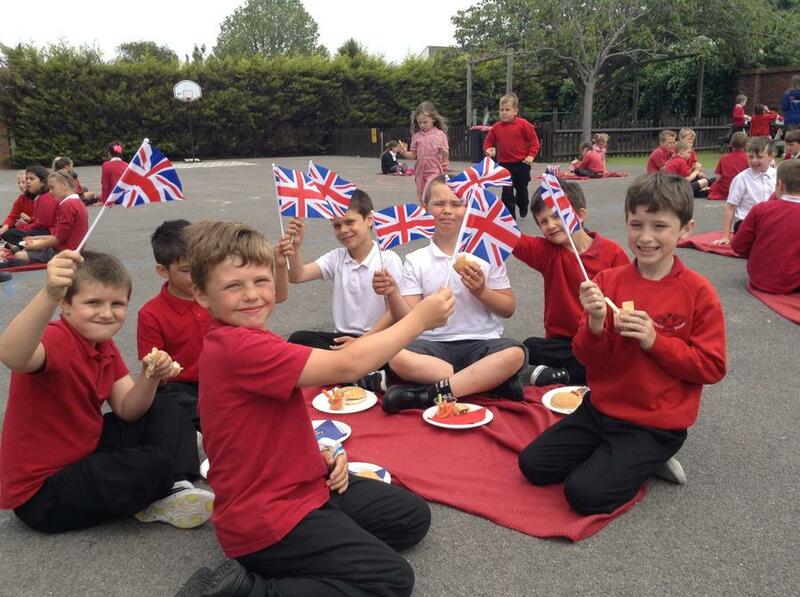 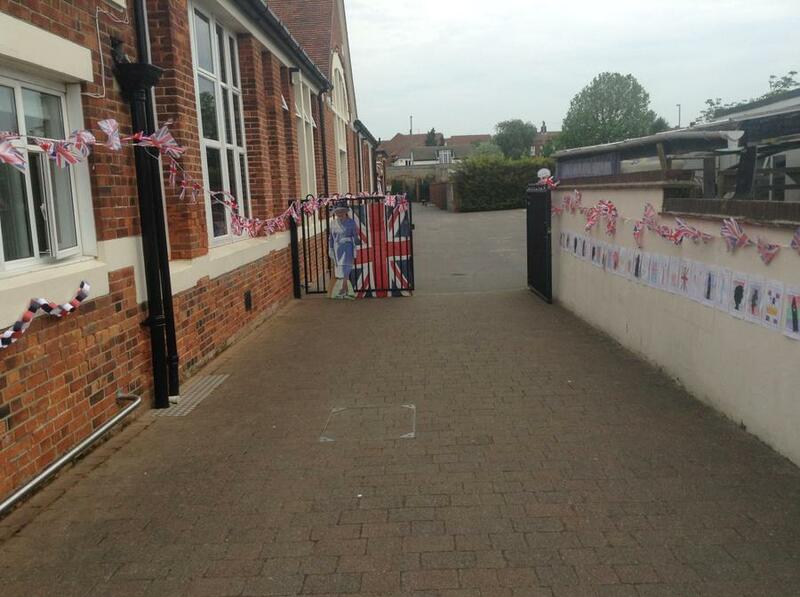 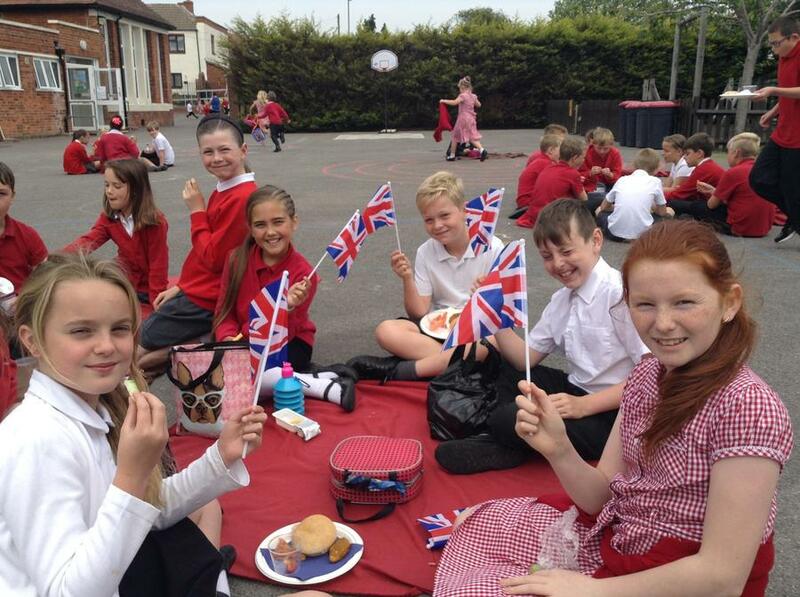 The school celebrated the Queen's 90th birthday today in true patriotic style! 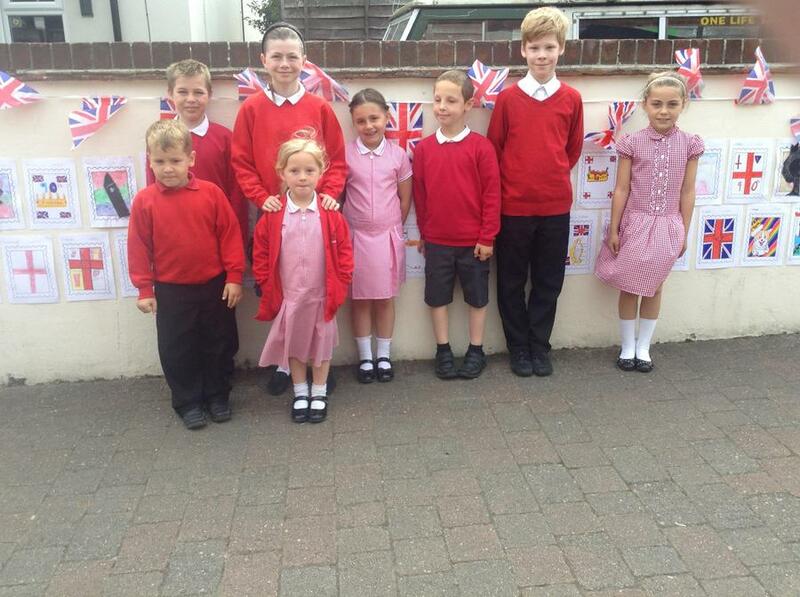 All children designed a stamp to commemorate the Queen's birthday or celebrating a British trandition/landmark. 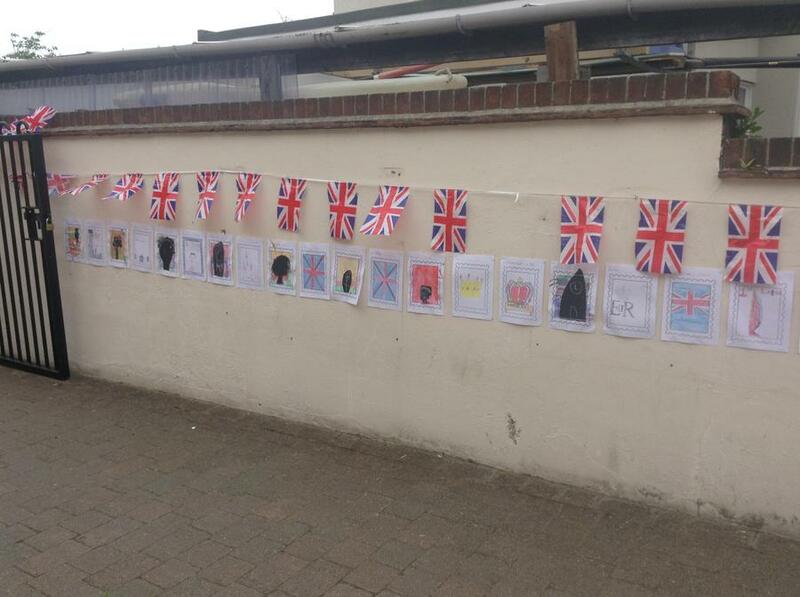 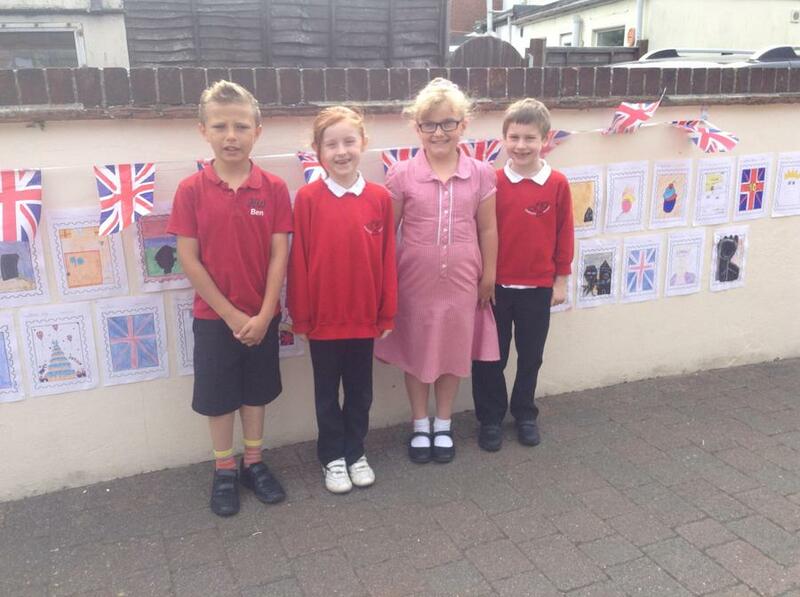 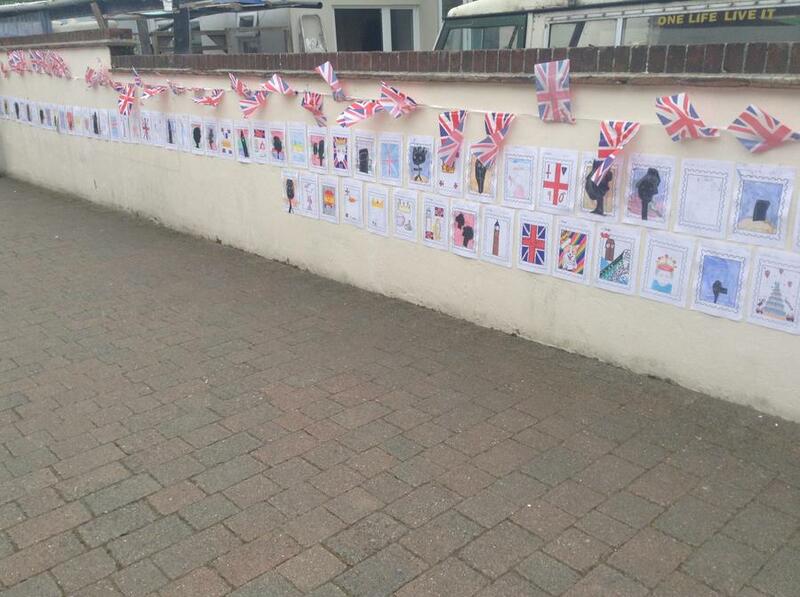 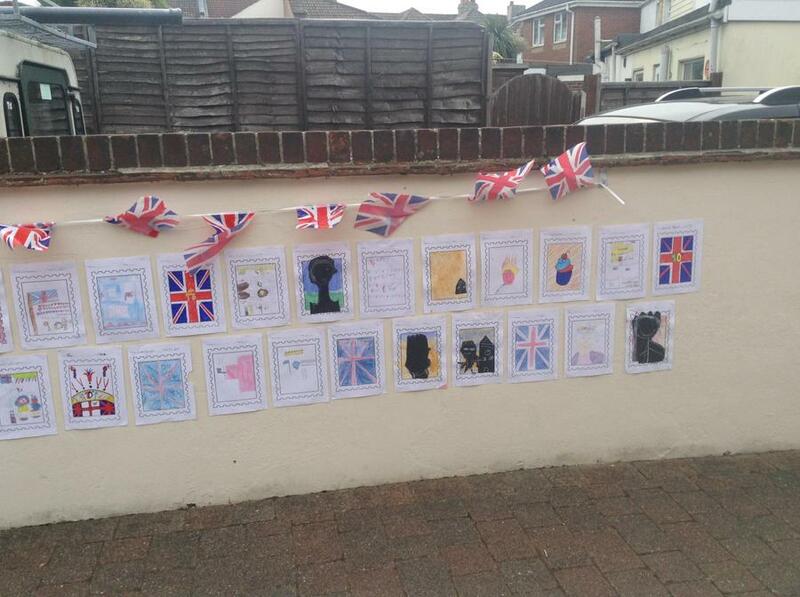 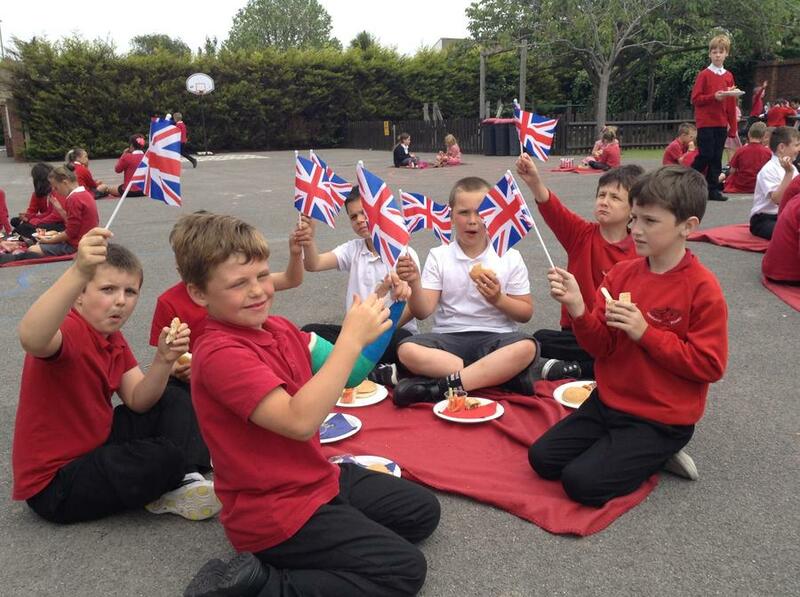 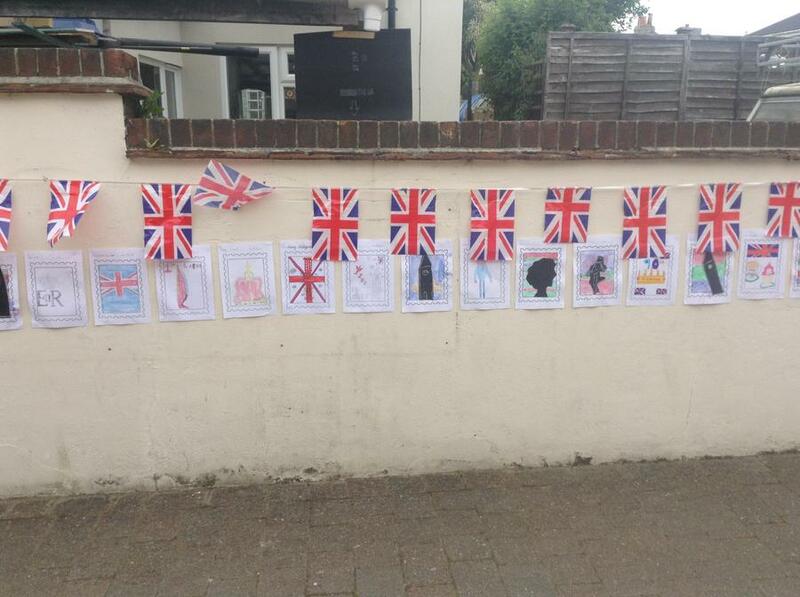 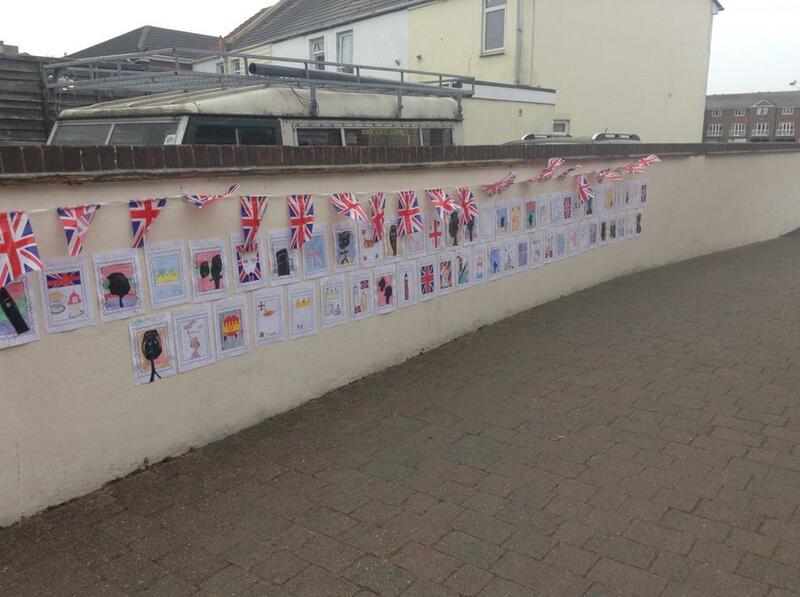 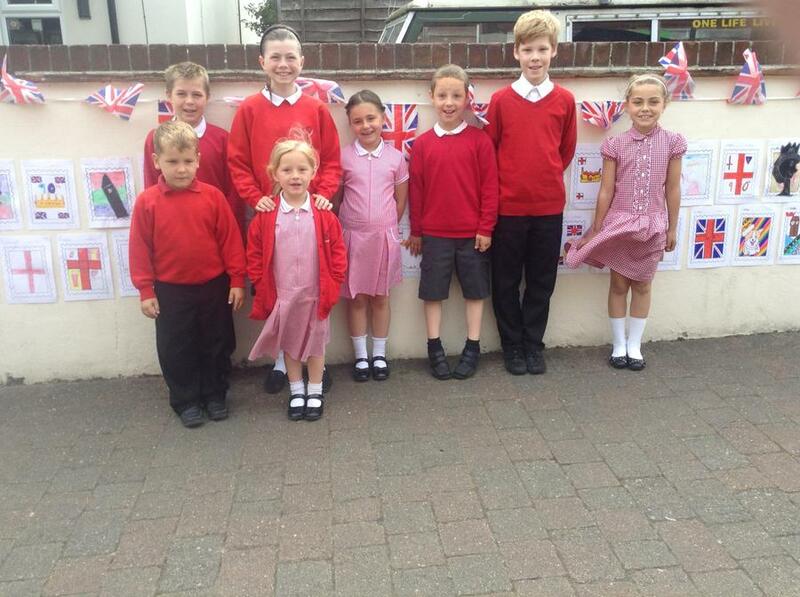 The stamps were displayed along the wall leading into the playground.They had a themed birthday picnic lunch in the playground and sung the national anthem, whilst waving Union Jack flags. 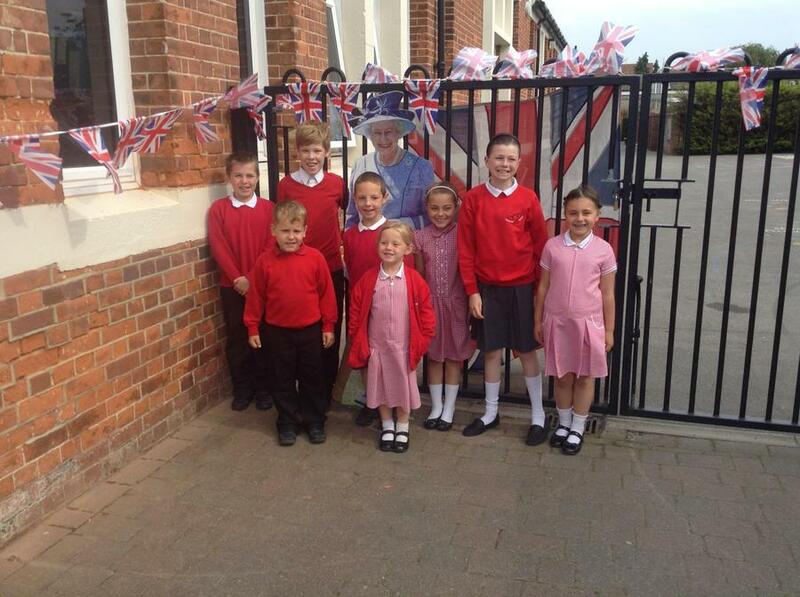 In the afternoon, the children spent some time learning about the Royal family. 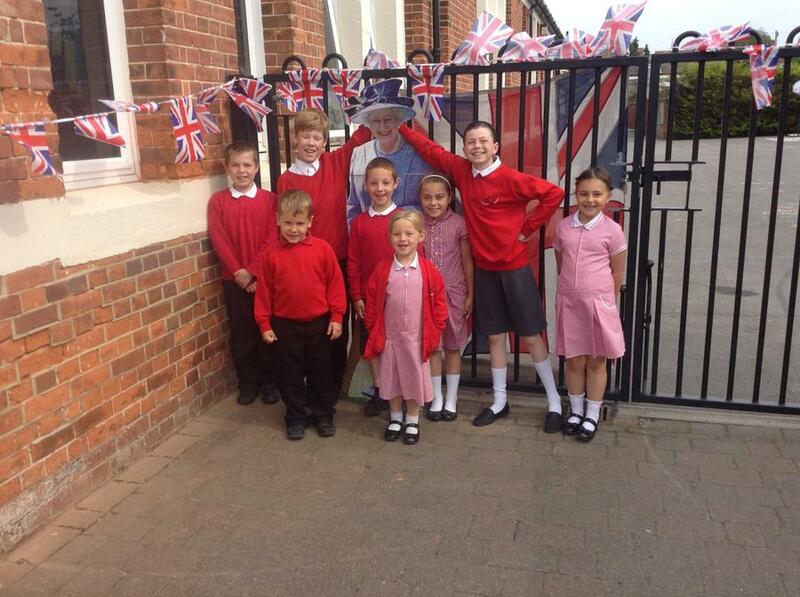 As you'll see from the photos, the Queen was able to stop by for a photo opporunity with some of our pupils!